You can present any swimlane diagram either vertically or horizontally. A vertical layout places slightly more emphasis on the functional units while a horizontal layout emphasizes the process. Click here to free download Swimlane Software. 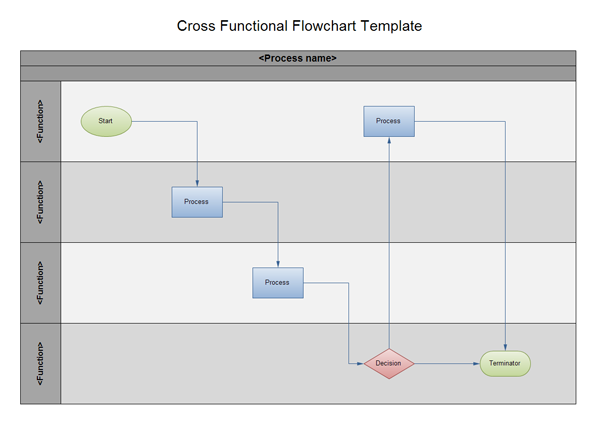 In BPMN diagram, a process flowchart is typically shown flowing from left to right. If only one set of swimlanes is used, horizontal swimlanes are most commonly used to group activities. In a horizontal layout, bands representing functional units run horizontally across the drawing page, highlighting the process. 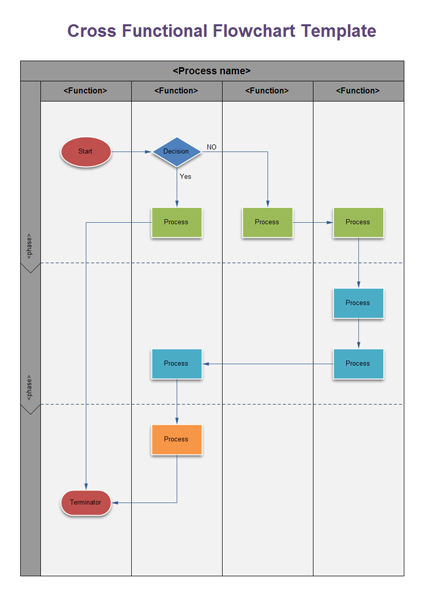 In the UML diagram, the activity diagram flows from top to bottom and vertical swimlanes are most commonly used. In a vertical layout, bands representing the functional units run vertically from the top to the bottom of the page, highlighting the functional units. The orientation option you choose often depends on personal taste, rather than a strict requirement or guideline. You can also choose the number of bands that appears in the diagram when you create it. The best practice is to create enough bands to hold each step of the process you want to document. Ckeck out how to draw a swimlane. You can start from swimlane examples. To be more accurate and professional, learn to use a swimlane software.